Twenty seven years ago (last week, in fact), I stood outside the doors of the St Seraphim Church, Dallas, Texas, awaiting reception into Holy Orthodoxy. I was asked whether I confessed the Orthodox Church as the Bride of Christ wherein was true salvation which was in the Ark with Noah at the Flood. I confessed it with all my heart. I believed it then. I believe it now. Orthodoxy was for me the Pearl of Great Price. Archbishop Dmitri of Dallas had counseled me upon my entry into the Church that, as grave as the situation was in my Anglican life, there remained but one reason to convert to the Orthodox faith: Namely, that I believed it to be true. He, himself a convert from the Baptists while yet in his teens in the early 1940’s, was the perfect one to give that advice. Thus, I come before this august gathering of prelates and priests, of theologians and spiritual fathers, as an American, a convert to Orthodoxy, a “village priest,” quite humbled by this privilege, to speak on a subject of concern to us all. I bring the perspective of one who has sought refuge in Orthodoxy from the doctrinal and moral morass afflicting many of our partners in the ecumenical movement. In my seminary training, in an Episcopal seminary in the 1970’s, I was alarmed by trends away from apostolic faith and witness then present in my denomination. Equivocation on the Incarnation, the Resurrection and the Miracles was readily accepted. Doctrine was nuanced away. Ordination of women to the priesthood was on the horizon. Advocacy for abortion, for which some Episcopal clergy were already providing “ministry services,”–(transporting young women to abortion clinics) — and acceptance of homosexuality raised few eyebrows amongst faculty or most students. In a post-modern age, in which Americans fancy themselves to be living, truth is ultimately defined as what one wishes it to be for oneself. There are no absolutes. The ancient boundaries of faith and moral practice no longer apply. There are no meta-narratives. 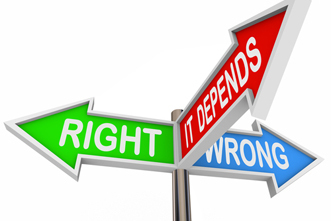 If Modern Man thought himself capable of discerning the Truth through reason, the Post-modern believes that individuals may come through experience to relative “truths,” culturally determined, all equally valid. The Orthodox understanding that Truth is a person who is the definitive revelation of God to Man in the Person of Jesus Christ, that the Church is the ground and pillar of that Truth, that the faith we confess in word and in deed has established the Universe, runs counter to the basic tenets of the dominant, Post-modern religious culture of the majority of our ecumenical partners in America. In this cultural desire for upward mobility, homogenization and pasteurization, participation in organized ecumenical endeavors such as the National Council of Churches (NCC) and the World Council (WCC) has provided a measure of social acceptance to the children and grandchildren of immigrants. Indeed, both an Orthodox priest and an Orthodox lay woman have served as the National Council’s president in America. Thus, I would argue, participation in ecumenical ventures has provided the Orthodox in America with acceptance and visibility, and, indeed, at times political influence, which otherwise might not be enjoyed. Yet this social acceptance and political influence has had a price, both in terms of mission and of Orthodox self-understanding in America, and elsewhere. In 1995, I was privileged to speak on the subject of Evangelism at a conference held at Holy Cross Seminary in Brookline, MA. It was jointly sponsored by the Orthodox Christian Mission Center, St Augustine, FL and the WCC. I emphasized that evangelism involved a process of bringing individuals into the life of the Church and confessing the Orthodox Faith. Imagine my surprise to find that those who took audible exception to my presentation were two Orthodox bishops, both attending under WCC auspices. One queried why it was not enough merely to become “Christians”, but not necessarily Orthodox Christians. Another protested similarly, vehemently denying that multiple Christ’s were now being preached in America, as I had contended. Interestingly enough, he was not from America but Geneva, so I seriously doubted he was an expert on American religious life. It was obvious to most, if not all, of those attending, that Orthodoxy seemed only a denomination to these bishops, a confessional community, part of an “invisible church”, but not Una Sancta. It was truly astonishing and eye-opening. 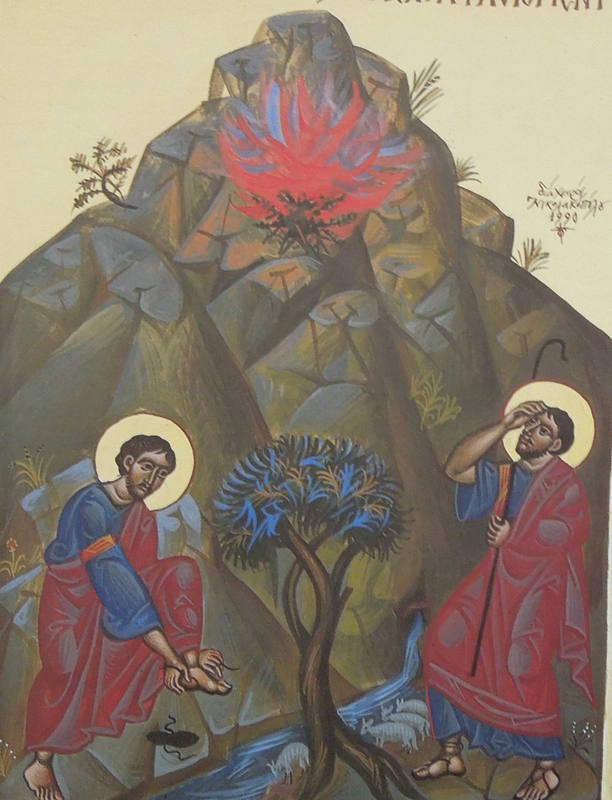 Such, can be, I fear the result of “working together ecumenically.” The practical result is to reduce any concept of mission to that of pastoral ministry to one’s own people in one’s own lands, a sad identification of Orthodoxy as tribal faith rather than faith universal. Why then engage in mission at all? If this be true for Orthodoxy in America, the impact on evangelism, on mission and witness, is indeed constricting. While St Innocent could rejoice at the prospects of Orthodoxy penetrating North America by means of missionary endeavor to draw Americans into Orthodoxy , such seems precluded by “working together ecumenically”, if the reaction of those cited above is typical. As a point of information, conversions to Orthodoxy in America are increasingly common, not because of marriage but by choice. The theological drift and moral relativism of the mainline confessions in the United States are a good part of the reason why. Fully 60% of the clergy in the Antiochian Christian Archdiocese and at least 30-40% of the priests in the Orthodox Church in America (Russian Metropolia) are converts, as are a majority of the OCA’s bishops. At both St Vladimir’s and St Tikhon’s Seminaries, the majority of students studying for the priesthood are converts. Many new missions and parishes consist of virtually all converts, as well. In fact, Orthodoxy in America experiences conversions at virtually twice the rate of the evangelical denominations while the mainline, ecumenical Protestants tend to post annual declines in membership. “How ironic that the very elements of Protestantism, the Liberal elements that have had the most to do with ecumenism, are the very elements that have become the most secularized and which represent less and less people as their numbers dwindle, plagued by the drumbeat of Protestant doubt,” wrote convert Frank Schaeffer in his book, Dancing Alone. In America though, as in Europe, objections to ecumenism are at times met with arguments ad hominem. While those who object to ecumenism in the Mother Churches might be dismissed as “nationalists” and “xenophobes”, likewise in America, those who question current ecumenical involvement are easily brushed aside with opprobria such as “traditionalists” or “converts”, who lack the sophistication and the sobriety to make judgments or comments re: involvement in current ecumenical bureaucracies and the like. The epithets might be different but the message, and the method, is the same; and the arguments are ignored. Perhaps, we merely embarrass or annoy them. But many of us oppose current ecumenical involvement because we have seen it from the other side. We have been members of many of the very denominations with which we partner. We know ecumenism first hand and we reject it. Suffice it to say, that many of us have converted to Orthodoxy in spite of Orthodoxy’s ecumenical partnerships rather than because of them. It has been said that there is more, true ecumenism taking place in America, ecumenism of a type which all Orthodox, I would think, might applaud, outside of, rather than inside, the institutionalized ecumenical organizations and bureaucracies. In fact, those with whom we seem to have the most in common in terms of faith and morals in the United States are those of the faith communities NOT associated with the NCC or WCC, such as conservative Protestants and some Roman Catholic groups. So let me touch on a few of the theological and moral issues which ought to be of greatest concern as we examine the question before us, issues which eviscerate the liberal Protestant, and at times, even Roman Catholic communities in America, many of whom are our partners in ecumenical undertakings. They are all interlinked and they herald the advent, I suspect, of a New Religion. 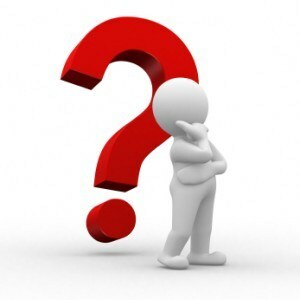 THEOLOGICAL ISSUES–Advent of a New Religion? The case of inclusive language and the syncretism found at the WCC’s General Assembly, Canberra 1991, are but part of a new theology growing out of the abandonment of traditional theology. This demonstrates what history has shown all along, that the Protestants are the inheritors of but a recent tradition, steeped in the tenets of and made possible by Western-European rationalism and humanism. For the Protestant, man, (or rather now I suppose, humankind), is the measure. Objective reality has been jettisoned in favour of a culturally determined one. That the ecumenical movement has definitely played a major part in attempts to redefine and to re-imagine Christian doctrine is now beyond dispute. Two examples can be readily examined effecting life in America. One is inclusive language, and the other, the re-imaging of God. 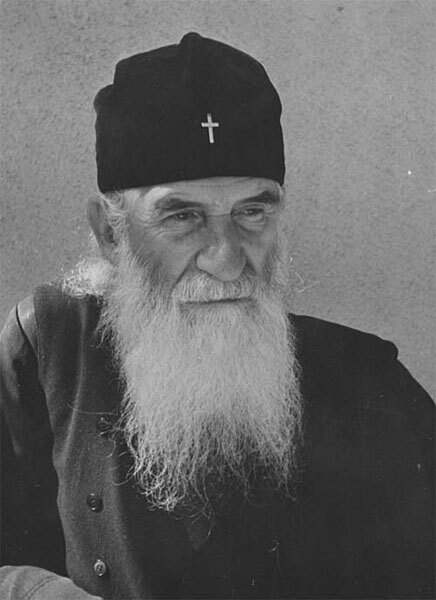 In “the mid-1980s, the National Council of Churches began publishing its multi-volume Inclusive Language Lectionary…which omitted male pronouns for God and re-translated Jesus’s traditional title, the Son of Man, as the Human One.”  Despite Orthodox dissent, the influence of the inclusivist movement has continued to be felt and promoted in ecumenical circles. Coupled with an ecumenical convergence about worship the Presbyterian Church (PCUSA), the United Methodist Church, and the United Church of Christ (UCC), the Episcopal Church and the Evangelical Lutheran Church all agree that inclusive language is to be employed, though they treat it differently. Some merely seek to remove (most) masculine nouns and pronouns, but others go further, much further. Re-Imagining: God is good, isn’t She? UCC theologian, Willis Elliott, worries that this is the advent of a new religion. By means of certain worship forms, a new religion is coming. This is where the path of ecumenical convergence is leading. Perhaps a concern for more historic forms of worship has emerged in part because of Orthodox participation. Yet this convergence must be seen hand in hand with a new theology, not unlike the position of pre-exilic Jews who followed old ritual forms of Yahweh worship at the same time pagan idols were erected in the Temple. This ecumenical convergence about worship cannot be described otherwise as but an ecumenical divergence from Orthodox Christology. The ancient landmarks that Jesus is Christ, that Jesus is Lord, that He is the Son of God, and that the first Person of the Holy Trinity is the Father, both his and ours, are being removed by our “partners” in ecumenical endeavors. Whatever de-mythologizing might have been contended with at the beginning of the ecumenical movement, what is now occurring can only be described as re-mythologizing: Re-Imagining/re-imaging. Is this not that of which our Saviour warned, that many would come in his Name and say, Here is Christ, and there is Christ? Ecumenical dealing with the two most contentious moral issues in American society, abortion and homosexuality, indicate the failure to reach convergence, much less agreement, on the morals once delivered to the saints. For example, membership in both the NCC and WCC can be interpreted as endorsing a pro-abortion agenda, based upon statements and actions of the councils and its representatives. The interrelatedness of inclusive language and feminist theology, abortion and homosexuality, cannot be dismissed by anyone serious enough to be alarmed about ecumenism’s role in current theological debate. In fact, the writings of feminist theologians would precisely tie all of these together and see them as parts of a whole. The ecumenical convergence, to borrow a phrase, is one now so radically different from that of those early days ofthe World Council in Amsterdam. And it is a convergence that we lend credence to and “give integrity” to by our membership in and association with the institutionalized ecumenical movement. Even as we meet, an article has gone to press on the subject “Orthodox Christians and Public Life,” for inclusion in the fall edition of Again Magazine. The author, Fr Patrick Reardon, a priest of the Antiochian Orthodox Archdiocese strongly advocates a serious realignment of Orthodox Christians in America in matters ecumenical. So, let me repeat what I said at the beginning: Accepting the Orthodox faith, I confessed that this Church was the Bride of Christ in which was true salvation. I believed it then. I believe it now. I also believe that our ecumenical associations can, do, and will continue to have a cloying effect on the import of that confession, both in witness and mission. Is it not high time to say, in the Light of Christ, what is true and what is false? Is not some form of disassociation the best way to say it? Is it not, as Fr Justin would warn us, the twelfth hour? To the glory of God the Father. Amen. Schmemann, Alexander. Church, World, Mission. St. Vladimir’s Seminary Press, 1979. p. 202. Garrett, Paul. St. Innocent: Apostle to America. St. Vladimir’s Seminary Press, p. 184. Schaeffer, Frank. Dancing Alone. Holy Cross Press. p. 308. George, Robert P. “What Can We Reasonably Hope For?” First Things, January 2000. Niebuhr, R. Gustav. “The Lords Name: Image of God as He Loses Its Sovereignty in Americas Churches.” The Wall Street Journal; April 27, 1992,A-4. The United Methodist Book of Worship. The United Methodist Church.#466. Woodward, Kenneth L. “Hymns, Hers and Theirs.” Newsweek. Feb. 12,1996, p. 75. Small, Joseph D. and John P. Burgess. “Evaluating Re-Imaging”. The Christian Century. April 6, 1994, p. 342-43. Williamson, Parker T. “Sophia upstages Jesus at ReImagining Revival.” The Layman Online, May/June 1998. “Methodist Official Comes Out.” The Christian Century. July 19-26, 1995. “WCC Protests UN Plans for Women’s Meetings.” The Christian Century, 1995. p. 560. “Together on the Way: Official Report of the Eighth Assembly.” World Council of Churches. “An Interview with Joan Brown Campbell.” The Christian Century. Nov. 8,1995. p. 1052. Campbell, Dr. Joan Brown. Address. Banquet. 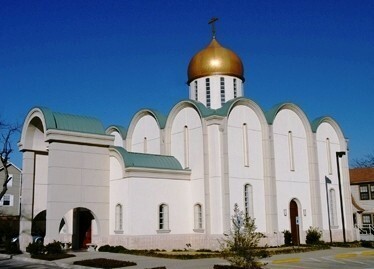 All-America Council of the Orthodox Church in America. Chicago. July, 1995. Pagels, “Images of God in Early Christianity;” Womanspirit Rising; Carol P. Christ laine H. “What Became of God the Mother? Conflicting and Judith Plaskow”, Ed. Harper & Row, 1979. pp. 107-119. Raming, Ida. “Male discourse about God in the liturgy and its effects on women” Lumen Vitae, Revue Internationale de Catéchèse et de Pastorale 55 (1999) pp. 47 – 57. Popovich, Archimandrite Justin. Orthodox Faith and Life in Christ. 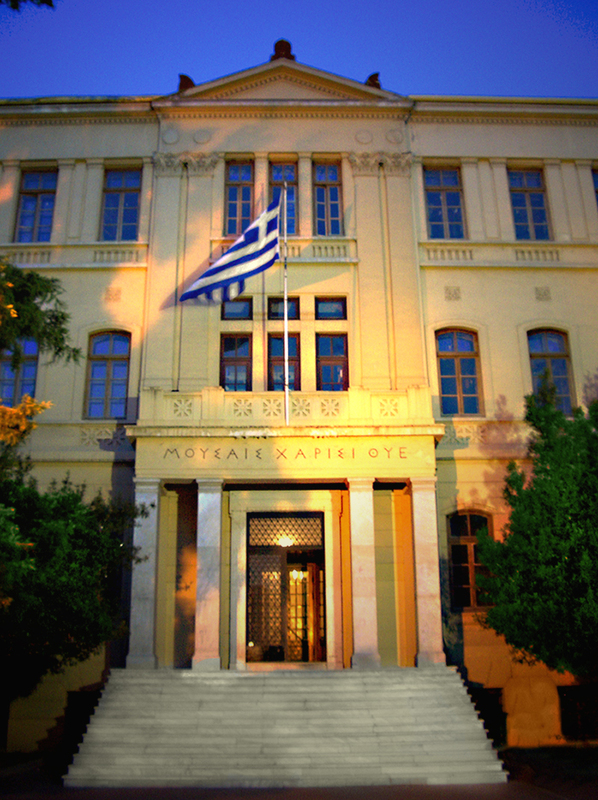 Institute of Byzantine and Modern Greek Studies, Inc. Belmont, MA. 1994. pp. 170 ff. A longer, much earlier version of this article was published by “The Christian Activist” in 1996 with the title “The Price of Ecumenism: How ecumenism has hurt the Orthodox Church”. The present article reflects a number of events which have transpired amongst our ecumenical partners since then. 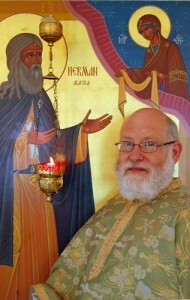 Fr John Reeves is an Orthodox priest in the Diocese of Western Pennsylvania, OCA.